For centuries, wood has been used in the construction of homes, buildings, fences, furniture and more. Today, wood is still used all the time to create and inspire. Today’s society has a strong desire to be more environmentally friendly. When it comes to wood, an eco-friendly option is reclaimed wood materials. Reclaimed wood is a material that is used with a new purpose, rather than placed in the landfill to go unused. Instead of cutting down new trees to create wood, reclaimed wood can be used, having a lesser impact on the environment overall. Reclaimed wood will have a unique appearance as the wood has been used before, possibly for decades. Most wood that is reclaimed comes from older homes, railway stations, barns, factories, etc., so the wood is aged, may have knot holes, saw marks, nail holes and more, which helps to create character in the wood. Reclaimed wood comes in a variety of grain patterns, species, and colors. The wood can easily be used, reshaped and finished to create a new look for your home. The material must be aged to be considered reclaimed, having spent many years being used before taking on a new life. These materials will pre-date the 1930s, which allows you to have a piece in your home that has history and a story, creating a lovely discussion piece. When wood is well-cared for, it can last for hundreds of years! With reclaimed wood, each piece must be prepped and prepared to be reused. The first step is to remove the old nails, staples or ties found within the wood. The surface must then be cleaned to remove any dirt or debris. The wood is then roughly milled at a predetermined thickness. A kiln is used to dry the wood, creating stability. This is to help with the removal of insects, as well as mold. The wood is planed and ripped, molded into a new shape, cross cut and defected so each piece looks it’s very best. The wood is then custom crafted for its final shape to create a product, such as wood beams, stair tops, cabinet doors, etc. There are several ways that reclaimed wood can be added to CT Interior design. From furniture and wide planked wood flooring to stair treads and wood beams, any homeowner can add this to the home to create a unique piece of decor or rustic styling. Flooring: choose from prefinished or unfinished flooring to create a rustic look in your home. Many pieces come from old flooring and joists. Stair Pieces: This can also be used to create products for stairs. Replace your old treads, risers, and stringers. Wood Beams: add a touch of character to any home by adding a solid wood beam or a constructed beam from reclaimed wood pieces. Wood Paneling: one of the more popular ways to us it. Panels can easily be used to create a feature wall or ceiling in your home. Use decorative wood panels for walls to create a unique accent wall. Kitchen: In this space, it can be used in a variety of ways. Create new countertops, table tops, bar tops, and even cabinets. Choose from a variety of colors, grain patterns, and patinas to match your home decor. 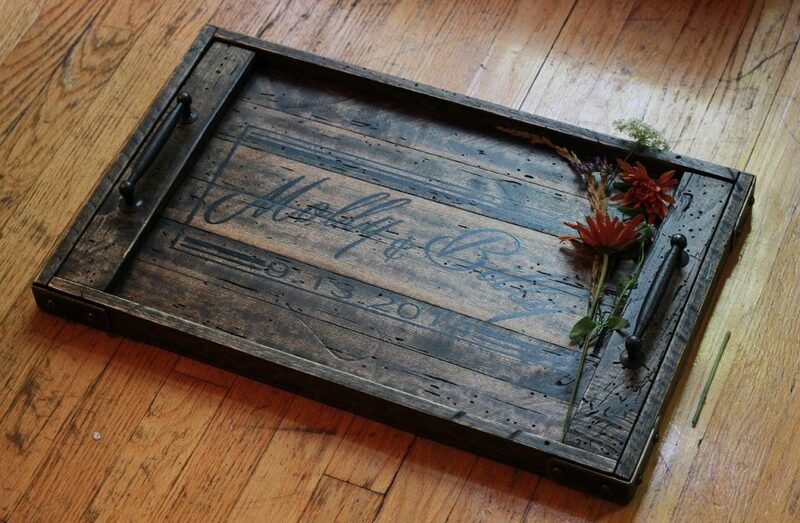 Easily add reclaimed wood to any area of your home. Consider a full application like flooring or start smaller with new stair treads for a rustic look. For more information on reclaimed wood, check out the infographic below! This post is a collaborative effort and may contain sponsored affiliate links so that we may continue giving you great info. All opinions are our own and for informational purposes only.